Gastroparesis is the medical term for delayed stomach emptying. The stomach normally dispatches all its contents to the small intestine within 90 and 120 minutes after their arrival time, according to gastroenterologist Dr. Frank Jackson of Jackson-Siegelbaum Gastroenterology. Stomach contractions normally keep things moving, but certain illnesses and drugs can interfere with the action. When your digest food too slowly, you might develop gastrointestinal symptoms or nutritional deficiencies. Liquids such as soda pass more easily than solid foods. Talk to your doctor before drinking soda if you have gastroparesis, because soda has little nutritional value. Disorders that affect the functioning of the vagus nerve, which controls the stomach muscles, can cause gastroparesis, also known as gastric stasis or gastropathy. Symptoms of gastroparesis can change from day to day; while you may eat almost normally one day, the next day you might not be able to eat anything without gas, bloating, abdominal discomfort, loss of appetite, nausea or vomiting. An inability to consume any solid food or liquids can cause serious nutritional protein, fat and vitamin and mineral deficiencies that can affect your overall health. When you can't eat, liquids become your best friend in gastroparesis. At this point, any calorie you can get down and keep down is a good calorie, registered dietitian Carol Rees Parrish of the University of Virginia Health System states. While soda is far from perfect nutrition, it does contain calories, so if it's the only thing that appeals to you and you can drink it, it will help you stay hydrated and nourished, at least for the short term. Soda contains no nutrients outside of refined carbohydrates. 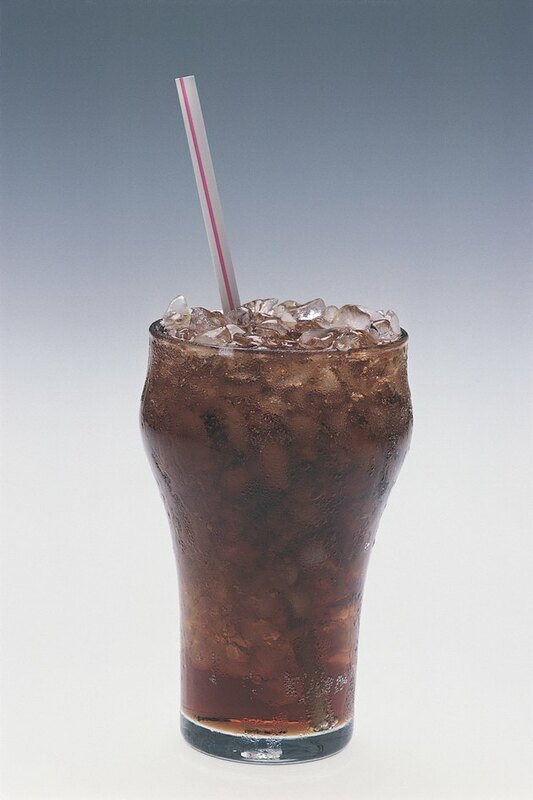 Soda also has carbonation, which can increase intestinal discomfort and gas. You might have an easier time drinking flat soda. If you have diabetes, a steady diet of soda can play havoc with your blood sugars. Soda is also hard on your teeth; if you have gastroparesis, you might already have tooth decay issues because acid from vomiting wears down the enamel on your teeth that helps protect them from decay, Parrish warns. Try not to rely on soda for liquid nourishment if you have gastroparesis. Smoothies or shakes that contain protein have more nutritional value than drinks containing refined carbs. Drink small amounts at a time rather than consuming three larger meals. Sitting up can also help food or liquid pass more easily. Work with your doctor or dietitian to devise ways to improve your nutrition and decrease your reliance on drinks such as soda. What Do You Drink When You Have Nausea?